Denise is an experienced director having demonstrated governance and leadership skills in several not-for-profit organisations. Denise is able to advocate both at a policy and practice level across sectors within Government departments, having previously worked as a senior advisor for the Ministry of Education and as a consultant to educational organisations. A strong proponent of the principles of Te Tiriti o Waitangi, Denise models practice in both the workplace and everyday life. Denise has had experience leading and managing teams within higher education and schooling. In 2005-2007 Denise was responsible for implementing the Physical Activity Initiative working in partnership with the Ministry of Health and SportNZ (formerly SPARC. Denise has a passion for education and as such she is committed to supporting initiatives using evidence based practice in injury and drowning prevention. Kevin is a recently retired Principal Lecturer in Physical Education at the Faculty of Education, University of Auckland. Kevin has had a lifelong commitment to drowning prevention as a lifeguard, researcher, and educator. He has been a frontline surf lifeguard for over 50 years, still currently patrolling one of New Zealand’s rugged west coast beaches at Muriwai, near Auckland where he has been awarded Life Membership. In 2010 he was awarded a Distinguished Service Award by Surf Life Saving New Zealand and Surf Life Saving Northern. Professional positions include: member of the International Advisory Committee for the WHO 2014 Drowning Report; member of the International Lifesaving Federation (ILS) Research and Information Committee; Co-chair of the International Task Force on Open Water Drowning Prevention; foundation member of the New Zealand Drowning Prevention Council, and Foundation Chairman of Watersafe Auckland Inc (WAI) from 1994-2012. In 2014 he was awarded the Water Safety New Zealand Award for his “outstanding contribution to water safety” and the 2014 Irish Medal by the Lifesaving Foundation in international recognition of “his exceptional contribution to the saving of lives from drowning.” He was made an Officer of the New Zealand Order of Merit in the New Year’s Honours list 2015 for “services to water safety”. He is the author of two books on water safety and drowning prevention, has published 50+ papers in international journals, and presented 60+ papers at more than 20 international conferences in the last decade. Anne has a background in social development and commercial business industry. 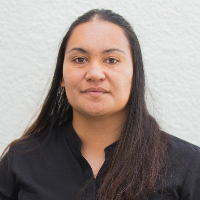 As a passionate community development advocate and a not for profit practitioner, she works closely with Local and Central Government, Business and the NGO sectors in injury prevention, education and promoting diverse communities social, cultural and environmental rights in Auckland and beyond. 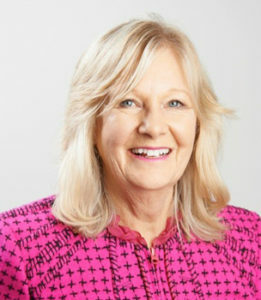 Anne is a founding member of the Auckland Council Ethnic Peoples Advisory Panel, Past Chair of Waitakere Ethnic Board, Board member at Generosity NZ and Safer Communities Waitakere. She is an ethnic community leader and adds a diversity lens to her vision to drive change through action using community led development tools, collaboration and strategic leadership. She is a Company Director of WinMac Solutions Ltd and a Trustee of NixCrew Road Safety Inc. Anne is a Member of the Institute of Public Administration and the Institute of Directors. In 2007 she was awarded the Queen’s Service Medal for her work with women and children. Richard is a journalism academic at AUT University, teaching at both under and post-graduate levels in the School of Communication Studies, part of the Faculty of Design and Creative Technologies. He teaches media law and ethics, writing, the reporting of public and political bodies and broadcasting. He researches identity, media strategy, death and ritual, social media and how public policy is framed in the media landscape. Outside of the University, Richard is on the Auckland Museum and Red Cross Pacific Advisory Boards and is a former member of the Auckland Council Pacific Peoples Advisory Panel. He has been a surf lifeguard, long distance triathlete and spends as much as time possible sailing. Richard is passionate about Auckland and want to be in a place where people are able to use and play in its many water environments with safety top of mind. Sandie Gusscott is an independent director with a background in education and business. She has been General Manager Education at Auckland UniServices Limited and more recently Acting Chief Executive Officer at WaterSafe Auckland. Her governance roles include Director at WaterSafe Auckland since 2014 and Councillor at Waikato Institute of Technology since 2015. Sandie has strength in business growth and development nationally and internationally and works with organisations to put in place the critical steps to achieve organisational objectives for success and growth. She has proven governance skills in particular in the areas of leadership, change management, strategic direction, financial management, relationship management and business acumen. She is a member of the Institute of Directors and Appoint Better Boards. Sandie has a passion for water sports and keeping safe carrying out these activities. She champions the cause of WaterSafe Auckland to prevent drowning through education so that we can have an Auckland free from drowning. Cultural Advisor and external blessing coordinator for Orakei Marae, President Ngati Whatua Orakei Volcanoes Sports Club, Kahui Tu Kaha Board Member, Cultural Advisor Maritime Museum.